Nearly 40 years after the first spaceflight that landed humans on the moon, a cloth bag packed with items from the Apollo 11 mission has been recently discovered. The discovery was made by Niel Armstrong's widow Carol Armstrong as she cleaned out a closet of their home office in Ohio. She send the following photo the Smithsonian National Air and Space Museum asking if they had any interest in the items. 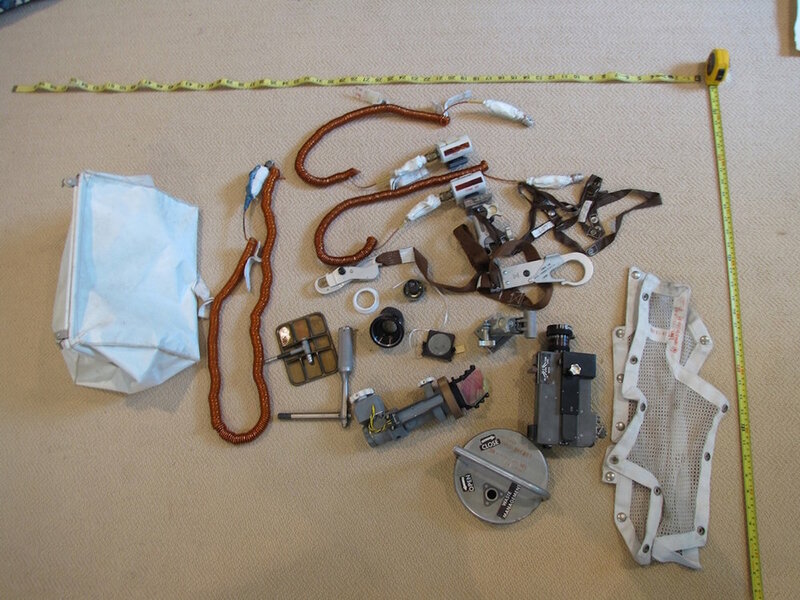 The most significant of the items was a 16mm Data Acquisition Camera that filmed Neil Armstrong's infamous ladder descent to the surface of the moon. The museum immediately recognized the bag which was used as a temporary stowage bag aboard the lunar missions. It was specially fitted with pins that locked into sockets left of the Lunar Module hatch, in front of the Commander's station. It's amazing that the Apollo 11 camera lost for 40 years, was even here on earth at all. Like any aircraft, the lunar module had very specific cargo weight limits. The 10 lbs of relics found in the bag, took up a significant amount of valuable space aboard the craft. The astronauts needed to lose weight before they could return home to account for the extra cargo of moon rocks and samples they obtained. In fact, it was common enough to leave cargo behind that there are 12 Hasselblad cameras still sitting on the surface of the moon to this day. The camera is temporarily on display at the National Air and Space Museum in New York City as part of the Outside the Spacecraft: 50 Years of Extra-Vehicular Activityexhibit.